Francine E. Barasch, of Laurel, MD passed away November 28, 2018. She was born on July 8, 1948 to Samuel F. and Helen E. McGowan in Minneapolis, Minnesota. She retired from Laurel Regional Hospital where she was a laboratory medical technologist and was a member of the American Society of Clinical Pathology. Fran graduated from Bradley University in 1971 with a Bachelor’s degree in Fine Arts. She also earned an Associate’s degree in Medical Laboratory Technology. Fran moved to Maryland in 1974. She was a member of the Goddard Music and Drama Group and the Goddard Ski Club. She was also a Girl Scout leader for the Girl Scout’s of the Nation’s Capital. 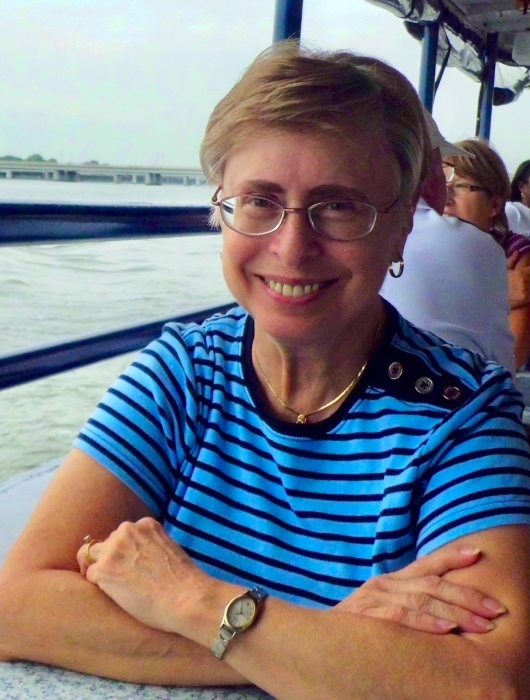 Fran was an active member of Berwyn Presbyterian Church and Beta Sigma Phi Sorority. She was an avid scrapbooker and enjoyed teaching scrapbooking classes at the Laurel Beltsville Senior Center. She also enjoyed music, theatre, and attending performances at the Kennedy Center and Toby’s Dinner Theater with her family and friends. She is survived by husband Ronald Barasch, children Kimberly and Scott, brothers Samuel and David McGowan. Visitation will be on December 5, 2018 at the Donaldson Funeral Home, 313 Talbott Avenue, Laurel, MD from 2:00 – 4:00 pm and from 6:00 – 8:00. Funeral services will be on December 6, 2018 at the Berwyn Presbyterian Church, 6301 Greenbelt Road, College Park, MD at 10:30 am, followed by a graveside service at the Ivy Hill Cemetery, 1201 Sandy Spring Road, Laurel, MD. In lieu of flowers, memorial donations may be made to the Pulmonary Fibrosis Foundation or Berwyn Presbyterian Church.